Lawyers and professional services specializing in Estates & Trusts in the Dayton area. - The law firm of Hanaghan & Hanaghan offers a full range of estate planning, probate administration and probate litigation for individuals and fiduciaries. 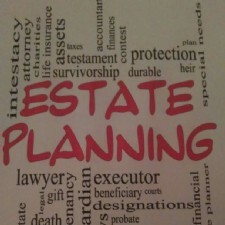 - To raise awareness of the importance of Estate Planning via- wills, trust, beneficiaries, power of attorney, TOD, POD. To educate and provide assistance.